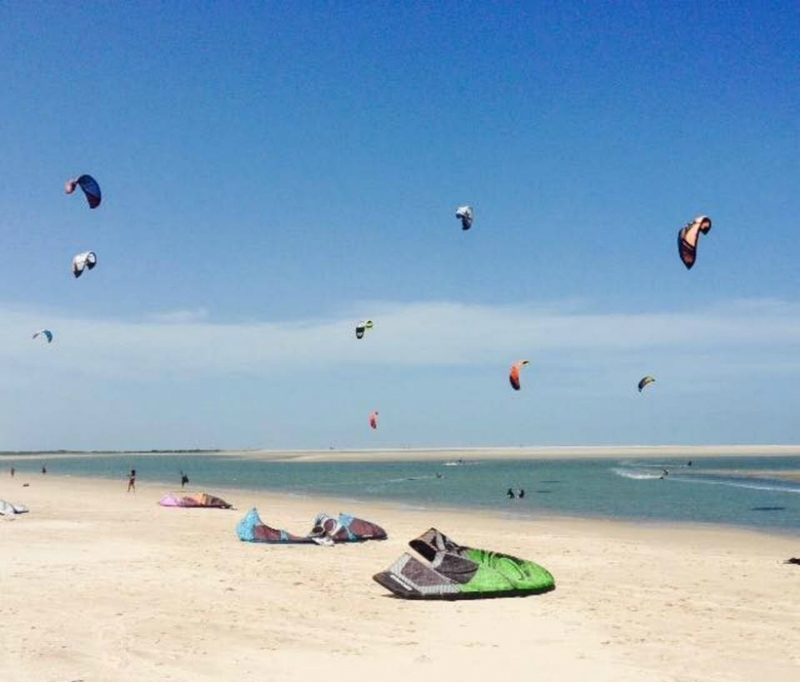 On this kite safari you will kite along the coastlines of two entirely different states; Piaui and Maranhão. 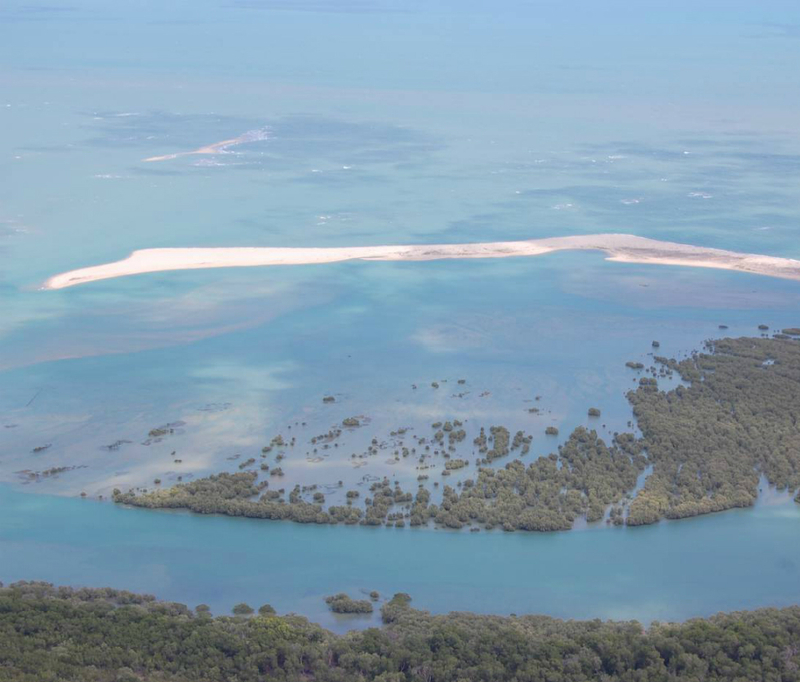 You’ll cover around 200km where you will cross deserted beaches, lagoons, river mouths and terrific wave spots. 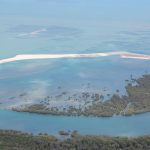 You’ll enter the Delta of Parnaiba (the biggest delta in the Americas) along with its infinite chain of islands and perfect flat waters, finishing the trip in one of the best and most stunning dune parks in the world, the Lençóis Maranhenses National Park, with its endless crystal clear-water lagoons. 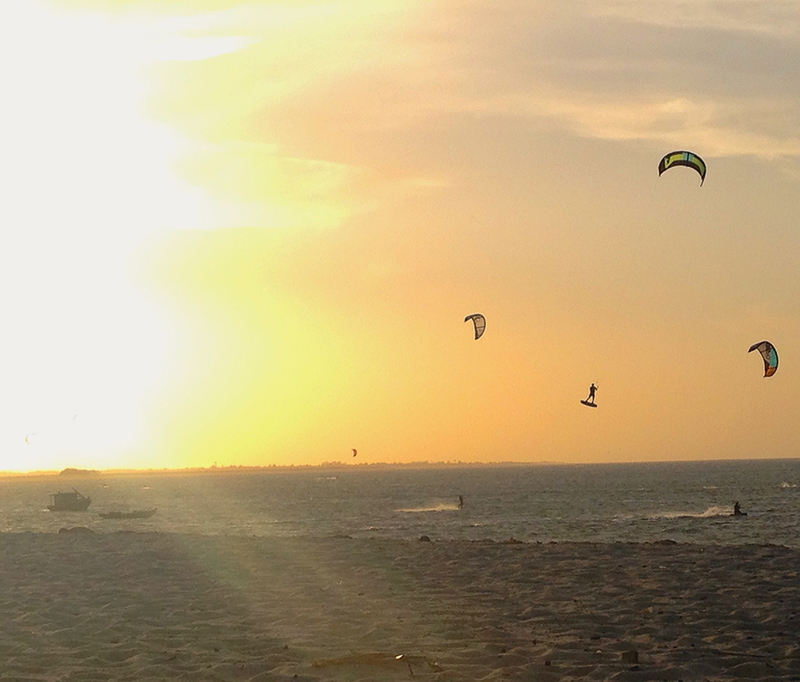 Picture yourself doing these downwinds with a view of isolated beaches, dunes and natural beauty. The people in your group will be the only people you see around you for the most part, besides the occasional fisherman. You’ll feel completely integrated in beauty and nature. The pit stops are strategic with 2 nights minimum each in place allowing time not only to rest, but also to really get to know each village well, along with its people and all the different kite spots it has to offer. Without a doubt, you will never experience anything quite like this. 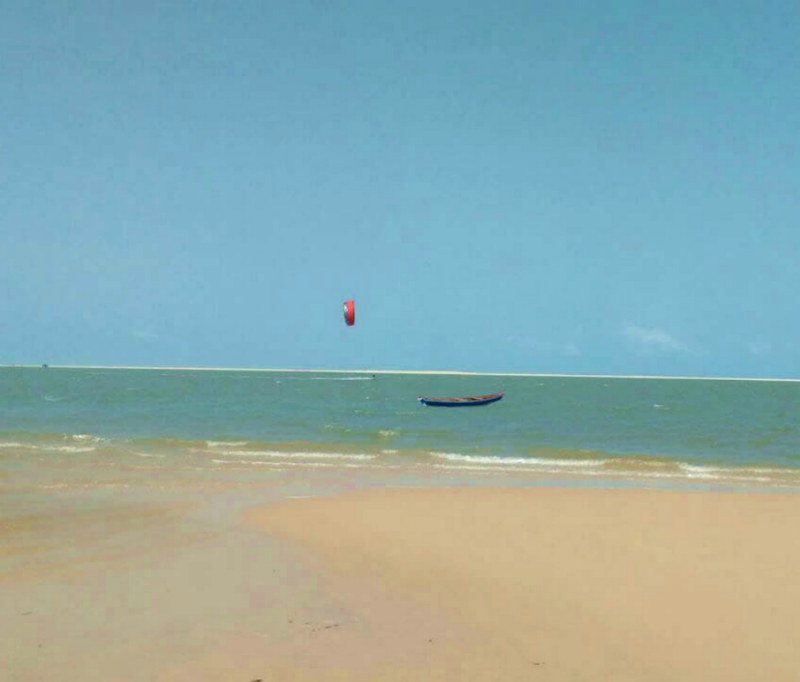 Traveling along this part of the coast of north Brazil by kite will be an adventure like no other. 18kn – 35 kn depending on the different spots. 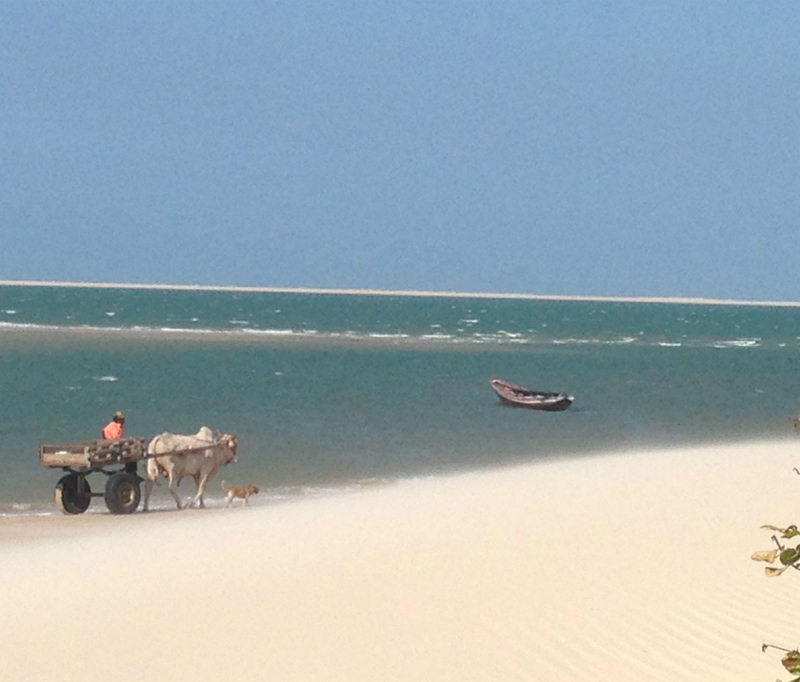 DAY 1: Transfer in 4x4 Cumbuco – Barra Grande (6h aprox). 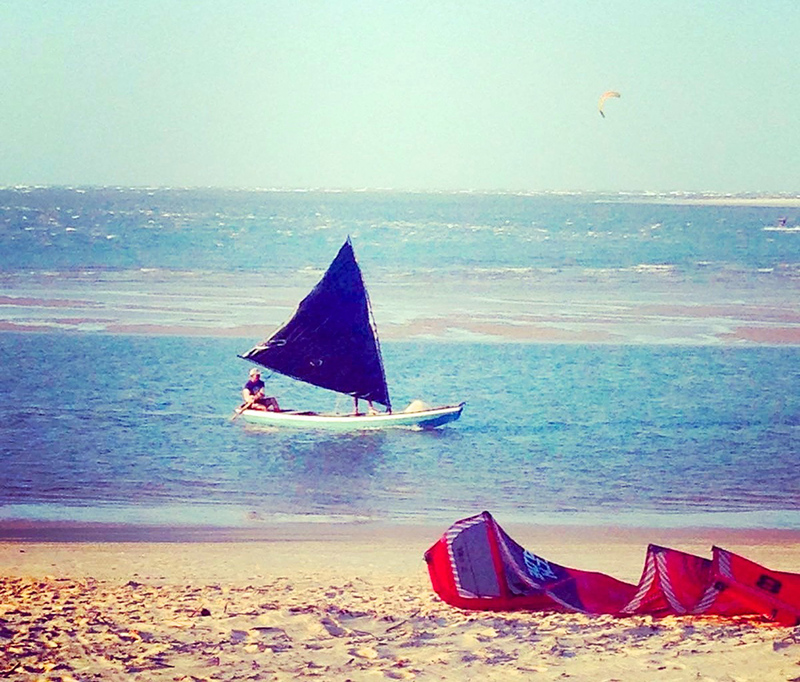 This Kite Safari is limited to a maximum of 12 people and a minimum of 3. There will always be 1 or 2 guides in the water depending on the size of group. 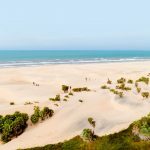 It’s important to note that during the downwinds in this trip, the 4x4s won’t be able to follow the group along the beach at all times, mainly because vehicles are not allowed along the coastline of the State of Piauí. This is why for this trip we require all riders to have at least a hight intermmediate level, if not advanced. Guides are there not only to lead the group, but also to ensure the safety of the group during the downwinds. If they believe there’s anyone who hasn’t have the necessary skills to ride along some advanced parts of the downwind, this person will have to go in the 4x4 during these parts for his own safety and the group’s as well. We recommend you bring 2 different sized kites, 2 bars and 2 boards. 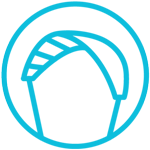 To repair any type of material can be fairly complicated for the most part which is why we recommend bringing extra to avoid these types of situations. Also, one should bear in mind that being close to the equator, the sun is very strong so a good quality water proof sunscreen is a must. Zinc works very well. Sunglasses, long sleeve with UV protection and a hat is always a good idea. 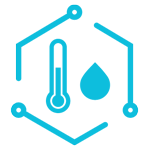 If you’re a group of at least 3 friends, it is possible to personalise this trip for you by staying more or less days in each place. 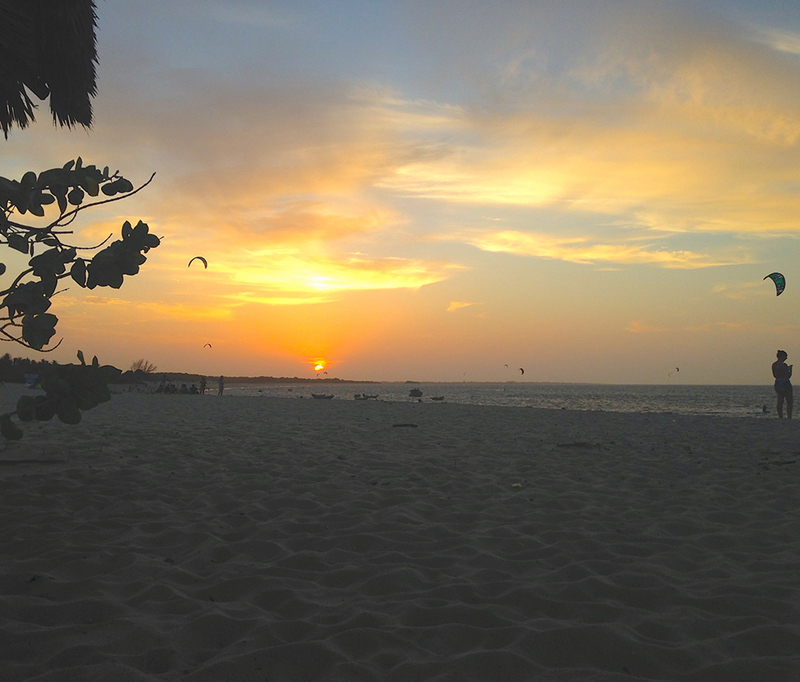 All you would have to do is let us know how you would like your Kite Safari to be and we will make it happen. 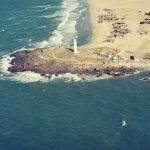 It’s important to note that during the downwinds in this trip, the 4x4s won’t be able to follow the group along the beach at all times, mainly because vehicles are not allowed along the coastline of the State of Piauí. This is why, for this trip we require all riders have at least a hight intermmediate level, if not advanced. Guides are there not only to lead the group, but also to ensure the safety of the group during the downwinds. If they believe there’s anyone who hasn’t have the necessary skills to ride along some advanced parts of the downwind, this person will have to go in the 4x4 during these parts for his own safety and the group’s as well. *If these dates don’t suite you and you’re minimum 4 people, contact us and we’ll be able to organise a Kite Safari just for you. The following price is calculated for a group of 4 people staying at medium-high level accommodations during the trip. 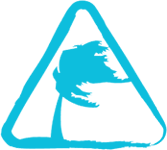 If you would like to stay at superior accommodations, please let us know and we’ll send you a new quote. 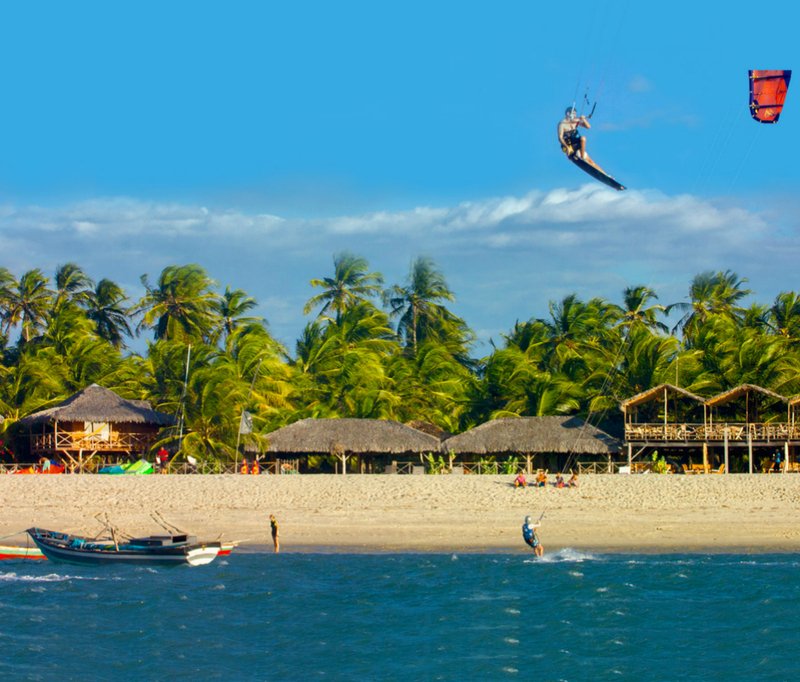 Make your reservation now and begin the best Kitesurfing adventure of your life. more days please contact us. 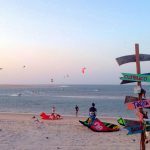 *Organizational costs aren’t included in the prices for Kite Safaris and these may vary depending on the time of the year, the availability at each accommodation and the number of people who take part, keeping in mind that we take a minimum of 3 and a maximum or 12. Freeride Kitesurf reserves the right to modify the price of this trip at any moment dependant on the increase or decrease in value of the Real (R$) against the Euro (€). WHAT’S INCLUDED IN THESE PACKAGES? This is the starting point for this Kite Safari. 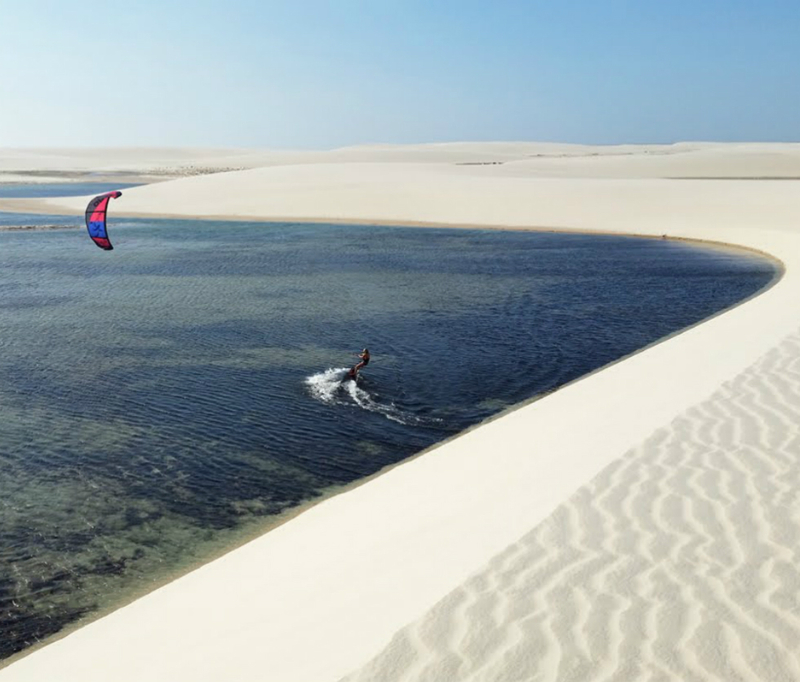 Without a doubt one of the best kitesurfing spots in Brazil. 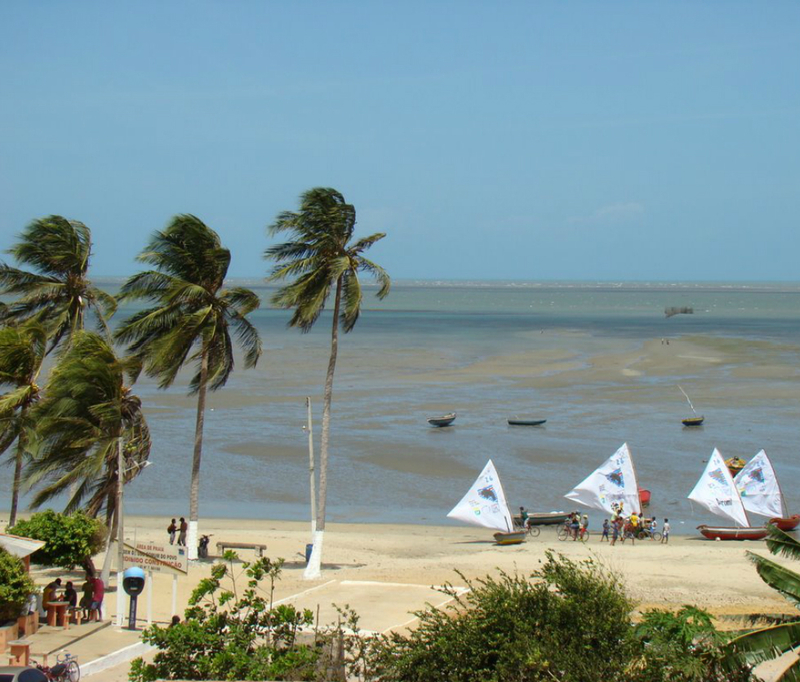 Macapá is a flat water paradise where lagoons are formed by the decrease and increase of tides. 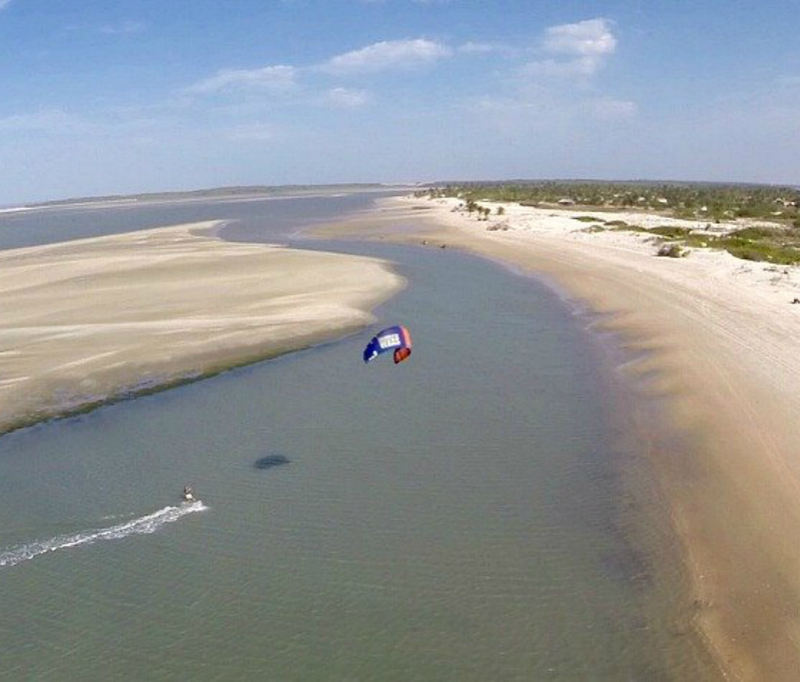 A lovely long beach where we begin our downwinds into the Delta of Parnaiba. 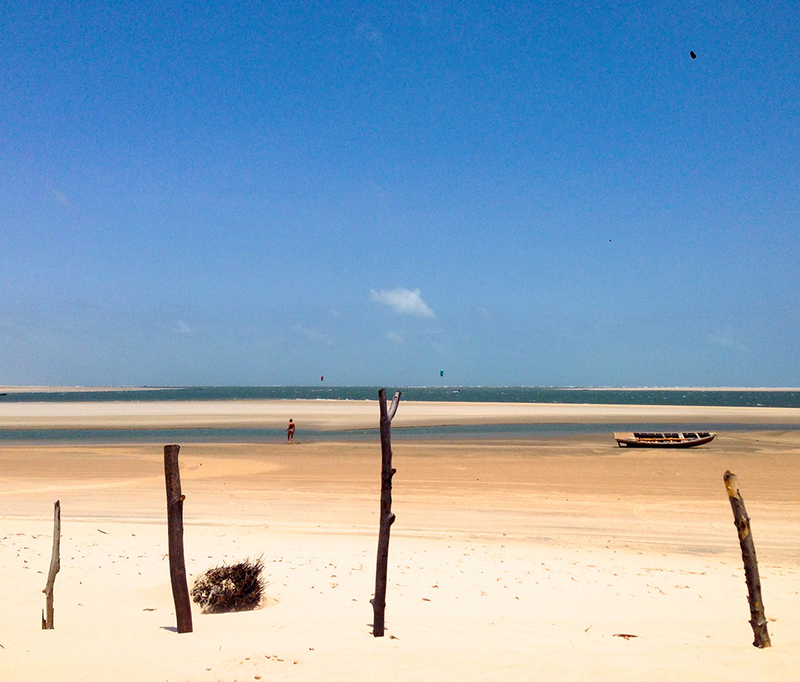 Ilha dos Poldros, inside the Delta of Parnaiba, the biggest Delta of the Amreicas. 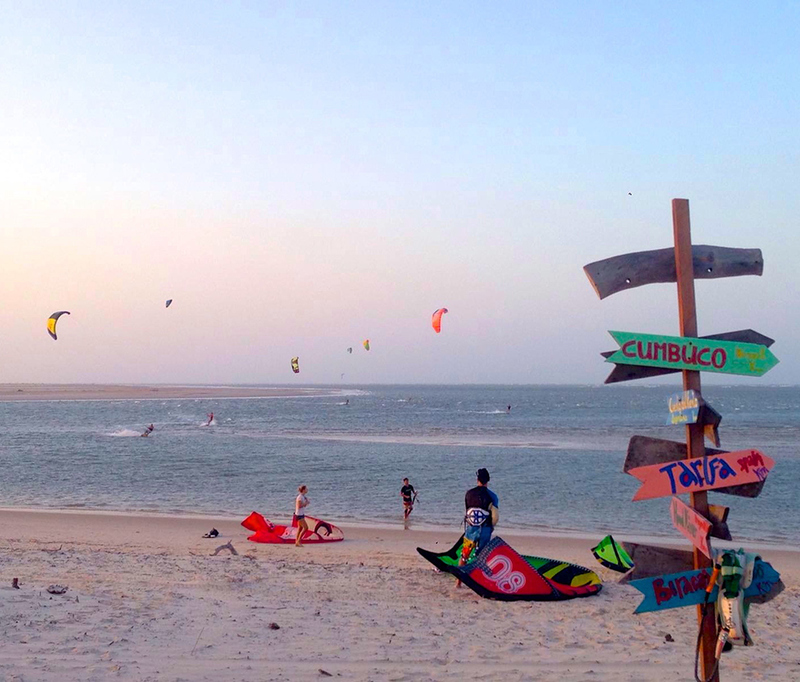 An idyllic and charming little village at the foot of the Lençoís Maranhenses National Park where you’ll find incredible kitesurfing spots.